Boost success, confidence, and growth for students in grade 7-9 who are reading at a grade 1-3 level. Covering a broad range of topics, these lavishly illustrated books answer the need for age-appropriate yet accessible resources. 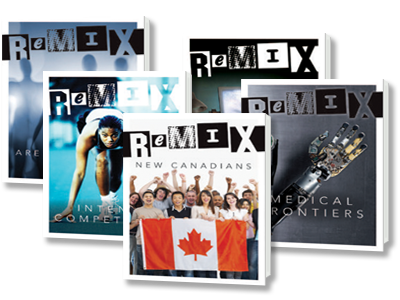 REMIX helps students to read more adeptly through highly engaging texts written at beginning and early reading levels, with strong visuals, vocabulary support, and context cues to promote engagement and understanding.